Everyday is a Fado day. We bring to life, in our small auditorium, multimedia daily shows that allow our visitors not only to listen, but also to get to know Fado’s history and essence. Over the course of an hour, some emblematic Fado themes are played live, along with segments of a short documentary, which revisits, through testimonies of characters tightly associated with this musical genre, some of the key moments in history of Fado, designated, in 2011, Intangible Cultural Heritage of Humanity. The experience begins with Traditional Fado, the Fado of hoarse voices and careless language, diminished by the country’s aristocracy at the time. Then it explores the mysteries and evolution of the Portuguese Guitar, the faithful companion of all Fado singers. It also passes by Coimbra, the eternal city of students, which, swarming with passion and culture, witnesses the birth of its very own song, that, by the end of the 19th century, would be called Fado de Coimbra. The fourth segment of the show is dedicated to Amália Rodrigues, who brings new poets and gives Fado an unmistakable character and an unprecedent recognition across borders. We finally arrive to the present day and to the fusion of Fado with new contexts, people, musical styles and audiences. The show takes advantage of the simultaneous translation technology installed in the Fado na Baixa auditorium, which allows visitors to listen to multimedia content in Portuguese, English, Spanish or French. Other languages will follow soon. The live Fado interpretation is assured by credited musicians and Fado singers, with verified curriculum in the instrumental and vocal areas of Fado. They give to Fado in the exact measure of what they receive: everything. She sings in Fado houses, restaurants, casinos and concert venues. To describe her passion for Fado, she resorts to the verses of José Fernandes Castro: “All my past is lined with pure Fado. My past is Fado and Fado is my future”. Bárbara Bentes' s journey in Fado starts early, at home, through the influence of her parents and grandparents. She participated in several music contests as a child and later, as an adult, she sings in several Fado contests. In 2011 she won the Revelation Prize at Braga Fado. Nowadays, she dedicates herself to Fado live shows. Never not carrying along the black shawl, and always paying respect to the herritage she carries, she has performed hundreds of shows all over the country and beyond, taking Fado music to Spain, France and Germany. Amália Rodrigues, Maria Teresa de Noronha, Alfredo Marceneiro and Fernando Maurício are some of her main references. His interest in music was evident from an early age. He directed the Fado Section of Associação Académica de Coimbra and was part of the group Praxis Nova, with whom he recorded and to which he still remains connected. He is the author of songs such as "Aquela Janela" or "Ondas do Mar da Póvoa". Carlos Santos dedicated his career to the study of Fado’s accompaniment guitar. Instrumental pieces of composers such as Carlos Paredes or Armandinho always interested him. He has performed on many national stages and often accompanies great voices of Fado with his guitar. Born in the artistic world, Cátia de Oliveira began singing Fado at the age of seven, encouraged by her grandmother. At the age of 12 she released her debut album and in 2008 her second work, "Fados", came to life. She has participated in several Fado contests, is a regular presence in many prestigious houses of Fado in Oporto and Lisbon and stars in shows all over the country and abroad. Filomena Sousa soon fell in love with Fado. Still young, she won third place in the Grande Noite de Fado da Casa da Imprensa – a prize that led her to performances in the most prestigious Fado houses in the North of Portugal. At the same time, she also shone as an actress of theater, having stepped on some of the most important stages of Oporto. Fado na Baixa is her latest challenge. 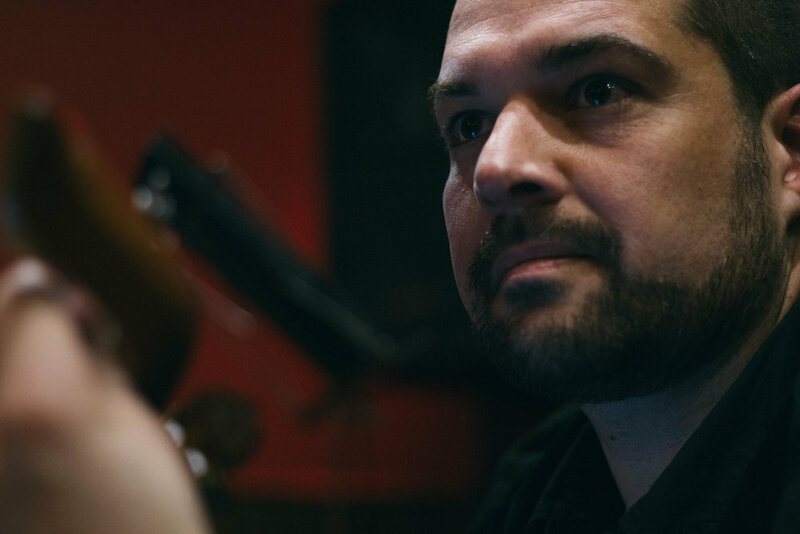 He formally began his career at Orfeon Académico de Coimbra and currently counts over 20 years of collaboration with several Coimbra's Fado groups. Has already performed live a bit throughout the world and was invited to diverse records and TV shows. At the age of three she had her first contact with Fado. At 11, she started taking guitar lessons with Gracindo Costa. The study of the instrument was reconciled with regular schooling and, at 22, Joana started dedicating herself entirely to music. Nowadays, she is a frequent presence in several houses of Fado, while also taking the music course at the Valentim de Carvalho Academy. 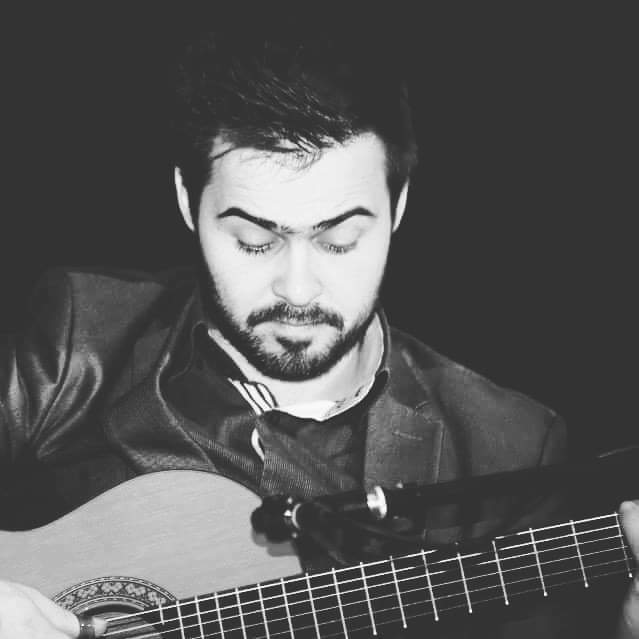 Manuel Soares made his debut in Fado with a group from Faculdade de Engenharia da Universidade do Porto. Years later and after concluding his degree in Music, he began to explore the Portuguese Guitar. Currently, he performs in several venues in Porto and takes part in shows throughout the country and abroad. In parallel, he creates musical compositions and arrangements, while also teaching music. 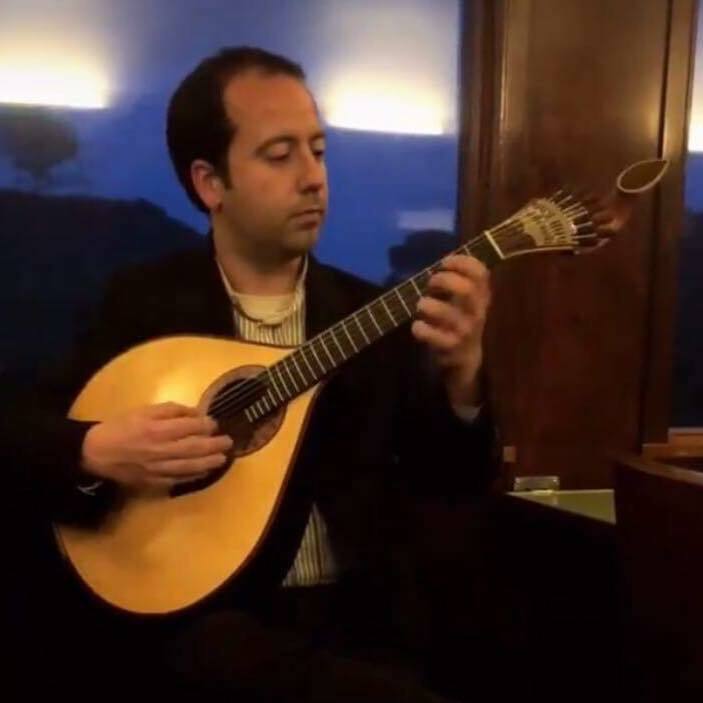 He fell in love with Fado and Portuguese Guitar at a young age and developed his technique in several fado houses, academic fado groups and in several performances, not only in Portugal, but also abroad. In 1996 he stops acting in fado houses and starts to dedicate himself to live shows, acquiring extensive experience and recognition from his peers. Mia Moura made her debut as a Fado singer in 2017, as a contestant on “Gaia é Fado" - a contest that she ended up winning the following year. In 2018 she also won the “Amateur Fado Competition of Lordelo do Ouro and Massarelos” and has become a frequent presence in Fado houses, restaurants and hotels in and outside of Porto ever since. She’s recently released her first album, “Mia Moura”. 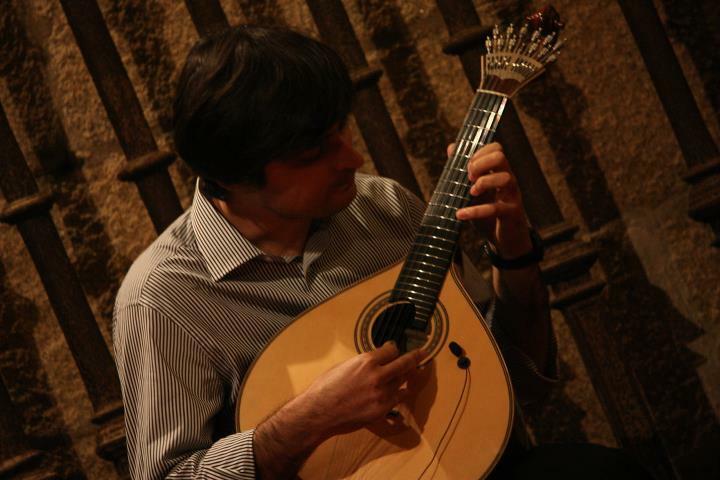 He began his studies in Portuguese Guitar in 1993 and teaches at Conservatório de Música do Porto since 2010. Has a wide experience in national and foreign stages, in the creation of teaching material and takes part in several Coimbra's Fado and guitar albums. The first contact with the music occurred at the age of five, when he joined the regional ranch of S. Salvador de Folgosa, where he lived. The cavaquinho was his first instrument, followed by the viola mandolin and the viola braguesa. After exploring new musical influences in bands where he passed, he had, in 2012, his first contact with Fado. Since 2017 he is a resident musician at the Real Taberna do Fado.